When you have twins, you have two of everything. Unfortunately, with a premature birth, that means two NICU journeys. 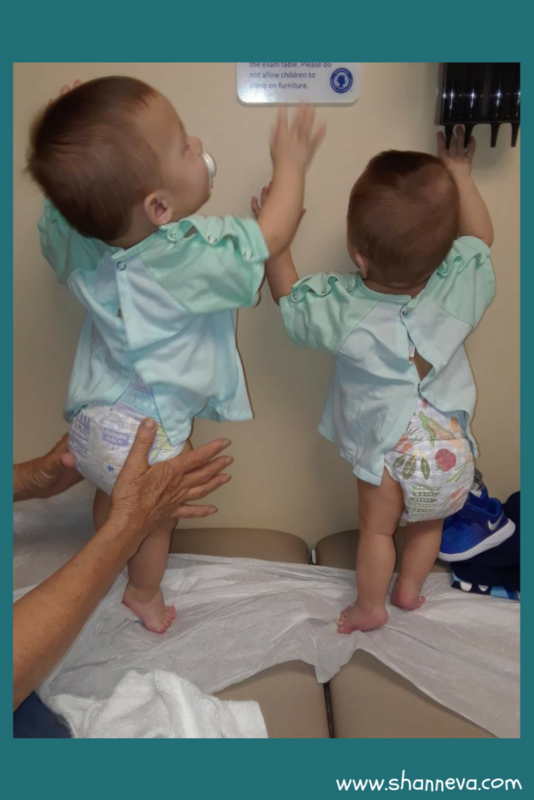 Even though they were born at the same gestation, my twins also had two NICU journeys that were very different from each other. 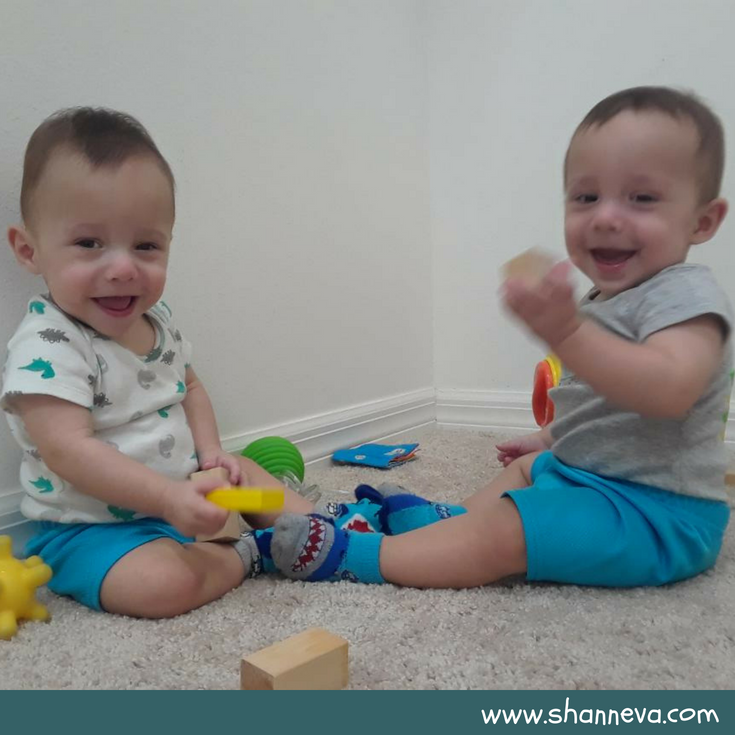 They were born at different weights, which added to the difficulty of my smaller twins’ journey. While they both had surgeries, blood transfusions, were on the ventilator, and had feeding tubes, my bigger twin met milestones earlier, gained weight easier, and was in an open crib first. I was also able to hold him first, he was off oxygen a lot sooner, and looked to be discharged a few weeks before his brother. Luckily, his brother must have sensed this, and kicked his recovery into high gear. My boys ended up going home within days of each other! However, this is not always the case for twins. One may have to stay in the NICU a lot longer than the other, which can be difficult both physically and emotionally for everyone involved. No matter how long the journey, though, when you get to come home from the NICU, you feel very lucky. 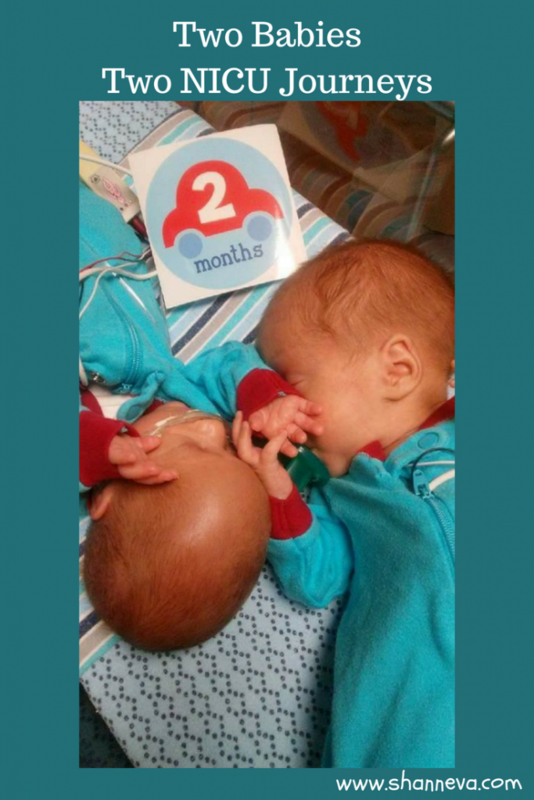 Today’s family experienced two NICU journeys with their sweet twins. I’m so happy to introduce you to Zepplin and Aiden, as told by their mom, Lacey. Zeppelin Jace (baby a) was born at 29 weeks, 6 days, weighing 2 lbs 4 oz and was 13.5 inches long. Aiden Jaxson (baby b) was born weighing 1 lb 6 oz and was 11.5 inches long. They were born by emergency c-section under general anesthesia due to a previous back surgery I had. Zeppelin was in the NICU for 59 days. Aiden was in the NICU for 92 days. When born, Zeppelin went straight to CPAP, but after about 18 hours he experienced a Pneumothorax (collapsed lung) that caused him to have to be sedated and intubated to help him heal. After Zeppelin’s Pneumothorax was healed, he was basically a feeder and grower. He really didn’t face any other issues. He was able to come off of all oxygen support after about a month. 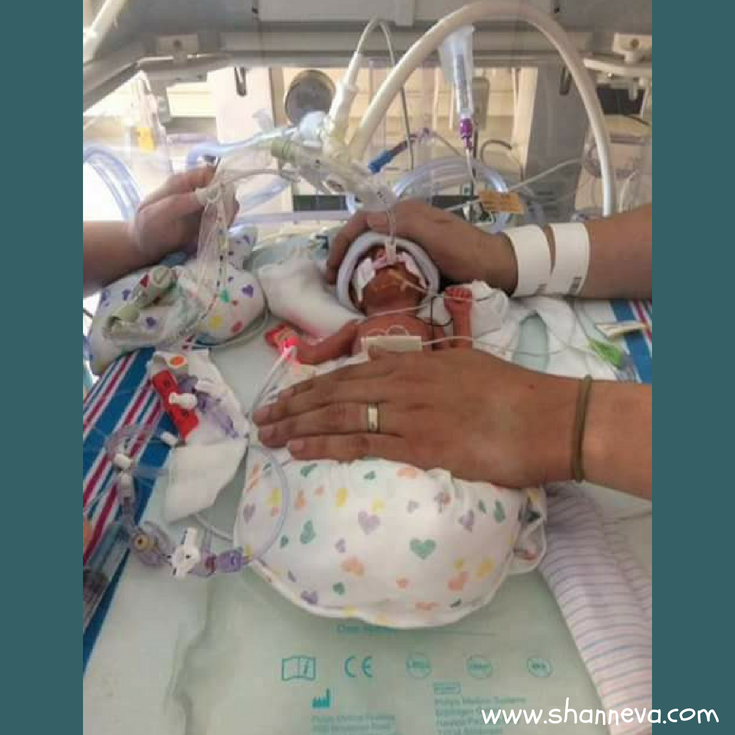 Aiden had to be intubated and sedated as soon as he was born due to him going into distress. 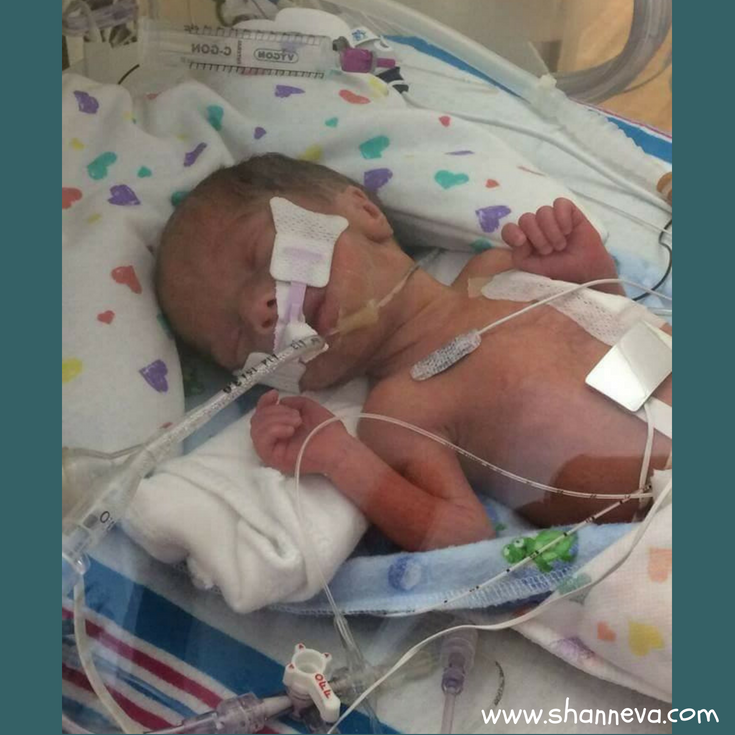 He was able to switch to CPAP just 12 hours after birth. Aiden, on the other hand, had a much harder journey. Aiden dropped down to 1 lb after birth, and it took almost 2 weeks for him to reach his birth weight again. He experienced a grade 3 brain bleed that healed after 1.5 months. He has very brittle bones with his highest level being 1,175 and normal levels are 150-250. Due to his fragile bones we had to be extra careful even when just laying our hands on him. Aiden stayed in the incubator until 2.5 months old. He wasn’t able to try bottle feeding until 2 months old. At 2.5 months, the doctors decided that they would be sending him home on oxygen support 24/7 once he was able to take full feeds. The hardest part for me was not being able to provide them with their full care because they needed the doctors and nurses. It was also very hard when Zeppelin was discharged and Aiden had to stay behind. We were blessed though with private NICU rooms, and our NICU allowed me to bring Zeppelin with me. So, I ultimately decided to continue living in the NICU 2 hours one way away from my husband until Aiden came home. It was really hard living in the NICU with a discharged baby because you feel like you are always being watched. I couldn’t imagine the people who aren’t allowed to bring the discharged twin back because that would have been way harder. These little boys were my first pregnancy. At 15 weeks, we learned Aiden was measuring behind and he was diagnosed with SIUGR. We were then given 3 options: terminate entire pregnancy, terminate Aiden or monitor closely and deliver when Aiden went into distress with no guarantee either would live. We started seeing am MFM every 2 weeks, 2 hours one way from home. Every week, we were prepared for Aiden not to have a heart beat, and every week we were amazed when he did. 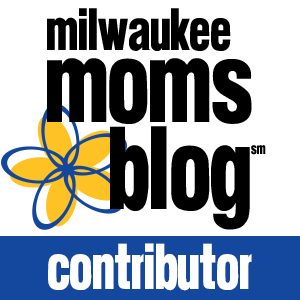 At 25 weeks, Aiden’s cord blood flow started showing intermittent reversed flow. We were told then if they seen it again I would be admitted to the hospital. 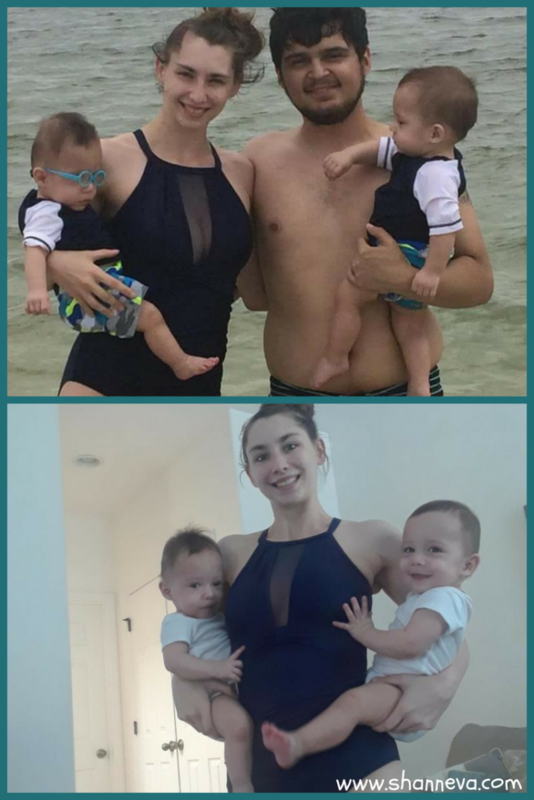 At 27 weeks, Aiden showed reversed again. I was immediately sent to be inpatient in the hospital until we delivered. We had a c section scheduled for 34 weeks if we were able to make it, so I was looking at 7 weeks in patient at the hospital away from my family. Every morning we had an ultrasound to monitor the cord blood flow and every afternoon we had an NST done. At this point, we were told the next time they saw reversed flow we would deliver. The day before we delivered, everything had looked perfect, and everyone had high hopes for the first time to actually make it to 34 weeks. On June 9, 2017 at 10 am in the morning we went down for my ultrasound. I knew what I was watching for. I watched as the techs face went from happy to concerned, and I saw the reversed flow. She tried several different times to see if she had made a mistake, but each time it showed Aiden’s blood flow getting worse. I was rushed back up to my room to get my bags packed to head to labor and delivery. I myself have been diagnosed with PTSD AND social anxiety from the whole experience. I’m slowly working through it and the days are becoming easier. Zeppelin is a completely healthy baby with zero medical issues. He is currently in developmental, occupational and speech therapy for 3 hours once a week. He is sitting, crawling, pulling up on furniture and now walking along the furniture. He loves any and all foods you feed him. He currently weighs 16 lbs 9 oz at 11.5 months old. Zeppelin is currently being seen by high risk clinic, pediatrician, ophthalmologist, and therapist. Aiden, on the other hand, has faced several issues. He came home on a 1/4 L of oxygen 24/7. He had to have an emergency hernia surgery on his groin at 4 months old. At 7 months old, he went back to the ophthalmologist because he had not out grown his eyes turning outward. 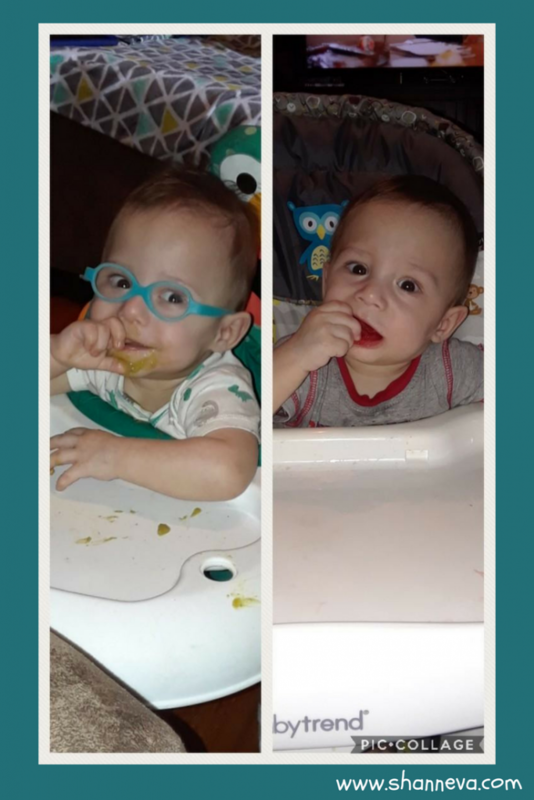 So at 7.5 months he got glasses. At 10 months old, he had to have tubes placed in ears. During this surgery he also had to have his hypospadious corrected along with his penile curvature corrected and circumcision done. If his glasses haven’t corrected his eyes by September, he will have to have eye surgery to correct it. He is also being sent to a neurologist because he has recently had a knot appear on top of his head. The doctors are worried his sutures are closing incorrectly, and he will need surgery to correct that as well. UPDATE: Aiden saw his neurologist and our fears were confirmed. He has had 3 sutures close too early causing his brain to stop growing. He will undergo surgery next month to reopen the sutures. He is also receiving developmental, occupational, and speech therapy for 3 hours once a week. Aiden is being seen by high risk clinic, pediatrician, therapist, ophthalmologist, ENT, audiology, urologist, and neurologist. We have anywhere from 3-10 appointments every week. Take the NICU one day at a time. Don’t be ashamed to cry or even scream about the situation you are in. Always remember your baby is in the best place possible. Remember to take care of yourself. This means it is okay to leave the NICU for a couple of days to catch up on sleep or just take much-needed time for yourself. The best parent is a well rested, non stressed parent. Keep a journal and write down every little thing no matter how small it might seem. Take as many pictures as possible. It maybe hard to look at now but looking back on those pictures are absolutely amazing and really puts into perspective what you’ve overcome. You are your babies voice. Advocate for them anytime you feel it is necessary. Don’t be afraid to ask for help. There is nothing wrong with needing help. You are stronger for asking for the help. Remember at some point the NICU will break you. Scream about it, or even cry about it, but then get back up wipe your tears and keep fighting with those babies. These days may feel long now but shortly they will just be a memory. Thank you so much to Lacey for sharing her adorable fighters with us. Please leave any supportive comments or questions below. Precious boys! These are my Great-Grandsons and they are our miracle babies. Awe. They are definitely miracles!